Winchester is one of the most respected names in the ammunition world due to their high-quality products. Ranger Talon T-Series is one of Winchester's highest performing loads with an unbeatable combination of expansion and penetration. This is top-of-the-line self-defense ammo designed specifically with law enforcement personnel in mind. Each of these 50 rounds is loaded with a 147 grain T-series jacketed hollow point projectile. Featuring a unique reverse taper jacket design, these loads provide reliable expansion, even after passing through a variety of barriers. Backed by a comprehensive testing program, you can count on this ammo to deliver consistent stopping power in real world self-defense situations. This new production 9mm luger ammunition is non-corrosive and loaded in boxer primed, reloadable nickel-plated brass cases for high visibility and smooth function. Each round produces a consistent muzzle velocity of 990 feet per second with 320 foot pounds of muzzle energy. 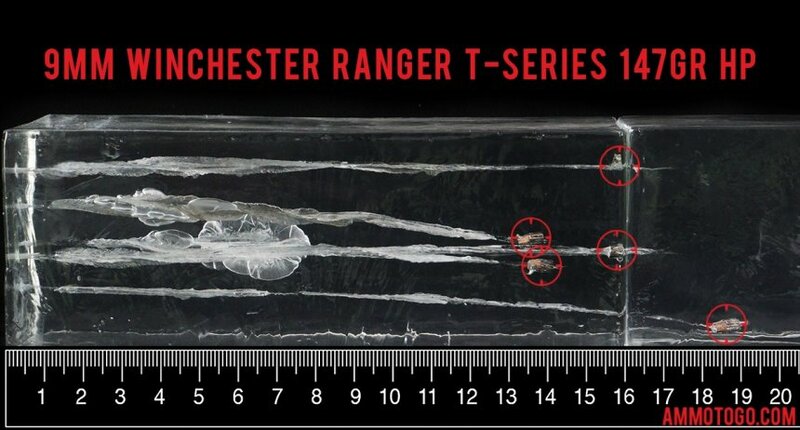 We shot five of these Winchester Ammunition rounds through a four-layer cloth barrier using a S&W M&P Shield. The results are detailed in the video you see above as well as the photographs. 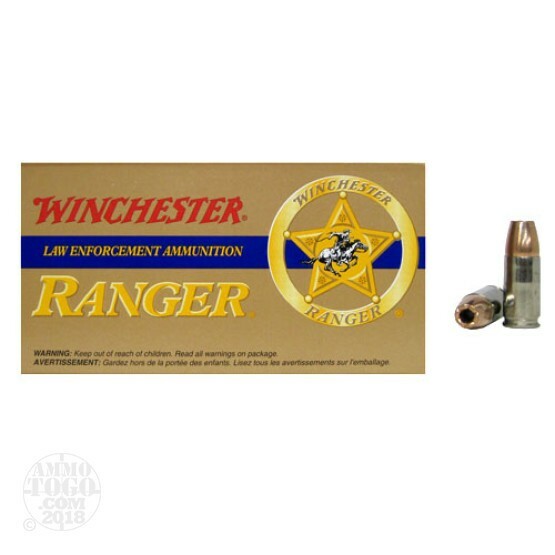 Through the charts, you should get a great idea how this Winchester Ammunition ammo stacked up relative to other 9mm Luger (9x19) ammo products available to American shooters. How do the results for this Winchester Ammunition 9mm Luger (9x19) compare to other 9mm Ammo? Penetration Depth Compared to 9mm Luger (9x19) Tested 0" 10" 20" 30" MIN 5.6" MEDIAN 17.7" THIS AMMO 16" MAX 47.5"